Wallace Chevrolet > Buick > Surprise: Buick Reveals 2016 Verano Sport Touring! Surprise: Buick Reveals 2016 Verano Sport Touring!
. Now, Buick continues the onslaught with the introduction of the brand new 2016 Verano Sport Touring. Like the Encore and LaCrosse before it, the exterior of the Verano ST is dipped in a gorgeous candy apple Red paint and finished off with a set of stunning 18-inch wheels with machined faces and “black” pockets, while a subtle rear spoiler further adds to its sporty appearance. “Buick is reaching an all-new generation of customers by reinventing itself in terms of design, function and capabilities,” said Mike Speranzini, brand director of Buick in Canada. We couldn’t have said it better ourselves. 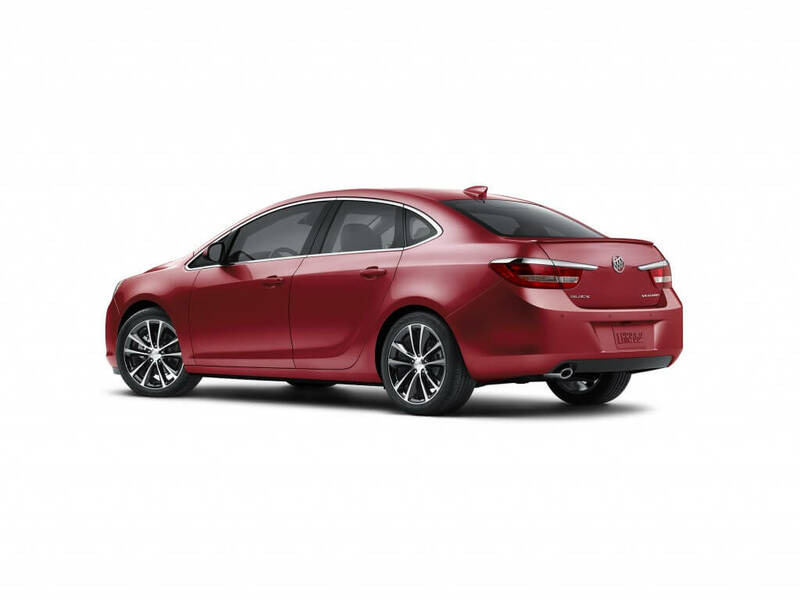 Look for the sharper, sportier 2016 Buick Verano Sport Touring at Wallace Chevrolet this fall!